Designed by interior architect and furniture designer Francisco Segarra and imported from Spain, the Royals Estrella Nero Ceramic Tiles radiate Old World European elegance. 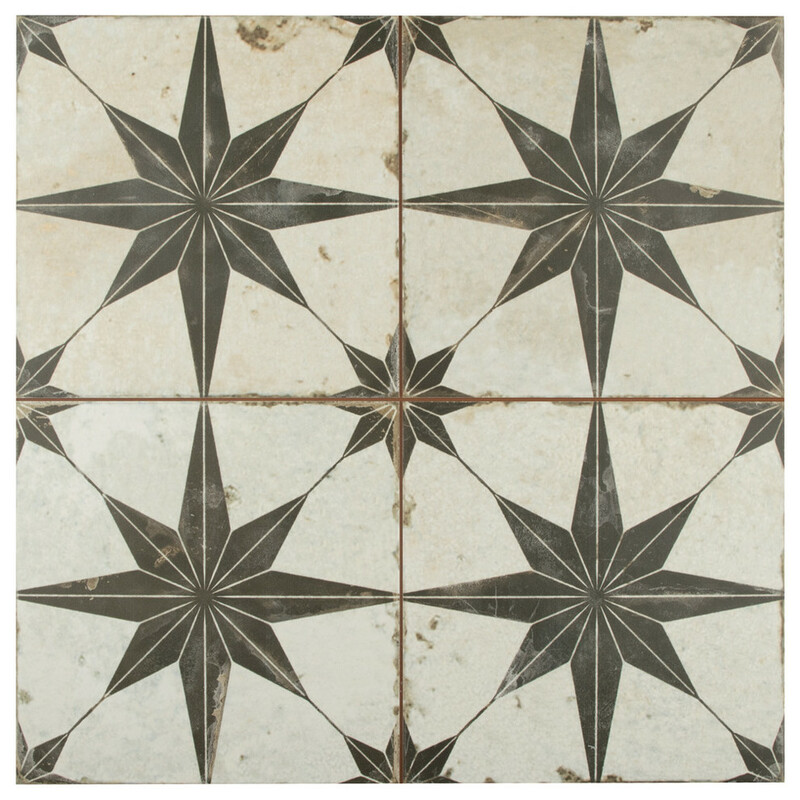 These decorative tiles feature a centered back star and a unique, low-sheen glaze in beige tones. Variations and realistic imitations of scuffs and spots throughout each piece mimic an authentic aged, century-old appearance and bring rustic charm to your interior.